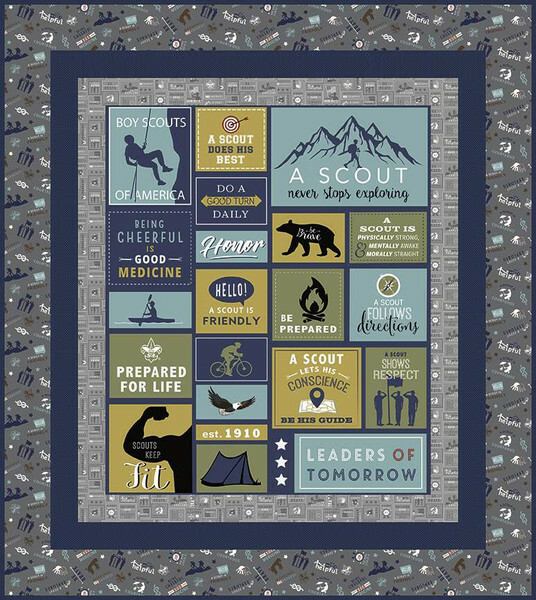 The A Scout Is Quilt Kit includes pattern and fabric for quilt top and binding. Backing not included. Fabric featured is A Scout Is. Pattern is by The RBD Designers. Finished size is 57 1/2 inch x 64 1/2 inch.